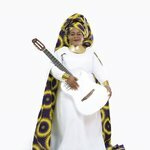 Nelida Karr is known to be contemporary musical revelation of the rhythms and sounds of Equatorial Guinea. The award winning singer and multi-instrumentalist is a new voice in the world music scene. 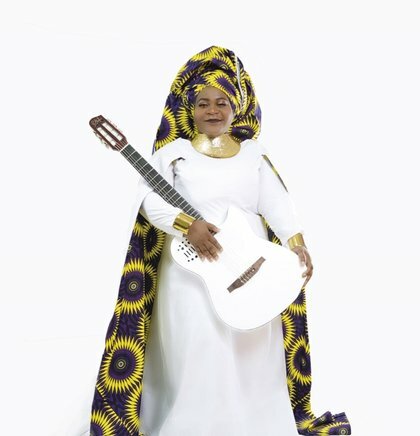 She classifies her music as "Afro-Fusion" suffused with the many influences she assimilated while growing up in Malabo the capital city of Africa’s only Spanish speaking country, Equatorial Guinea. 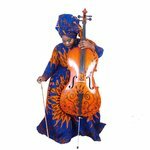 Her sound is an eclectic mix of the music of the Bubi ethnic group and Equatoguinean rhythms like Katya, kotto, bonko, mokom and antonobe, as well as jazz, blues, Spanish and Latin music that she nevertheless incorporates into a sound all her own. She recorded the first of her three albums to date in 2010 at the age of 20. 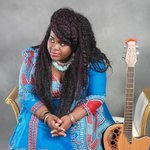 After the release of her second album “Batobiera” (2013), she was selected as one of the top ten finalists in the 2013 RFI Découvert awards and has reach a sweet spot in the new pool of emerging talents in Africa. She is currently self-producing her new album which will be released in October 2018. 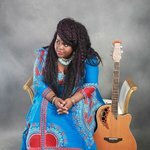 Earlier this year she won the first prize of the Spain and Equatorial Guinea 'vis a vis' festival, leading to a tour in Spain this summer where she graced some of the largest Spanish world music festival stages with her exuberant talent with diverse musical synergies both vocal and instrumental dexterity. 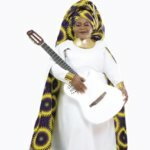 Nelida will grace the WOMEX 18 stage to showcase her talent and music expecting to find new tour dates and other performance opportunities for her music.